Looking for a fall family activity this October? 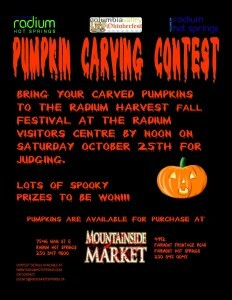 Then check out the first annual Radium Harvest Festival! 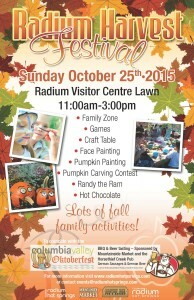 The Radium Harvest Festival will be located at the Radium Hot Springs Visitor Centre on Sunday October 25th from 11:00 am-3:00 pm. As part of the 2015 Columbia Valley Oktoberfest Celebration. 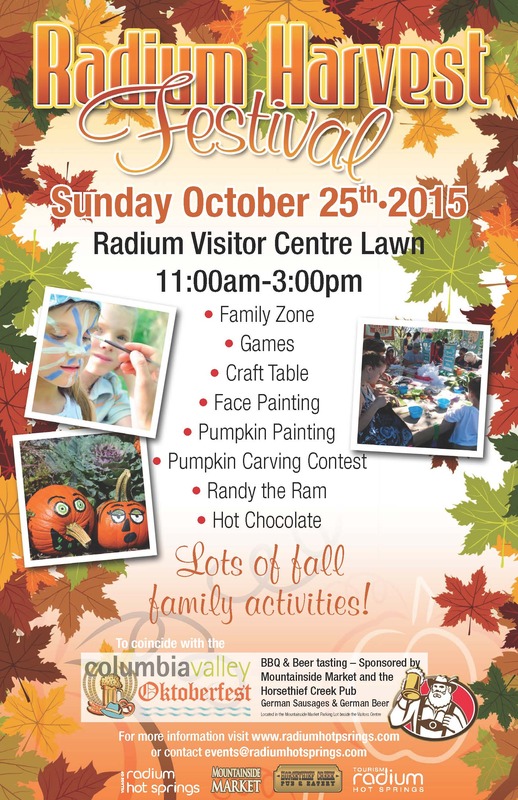 The Village of Radium will be hosting a day of fun filled activities for all ages. 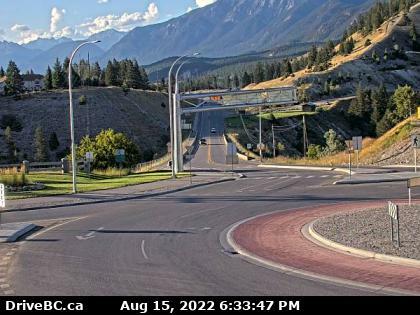 The Radium Harvest Festival will feature a market, crafts and games for the little ones, face painting, pumpkin painting, and a special appearance by Radium’s very own mascot Randy the Ram. Make sure you check out our petting zoo!!! Yes that’s right, come visit with some friendly local farm friends. There will also be hot chocolate and popcorn sales with proceeds going to support future Radium Events. Don’t forget about the pumpkin carving contest. 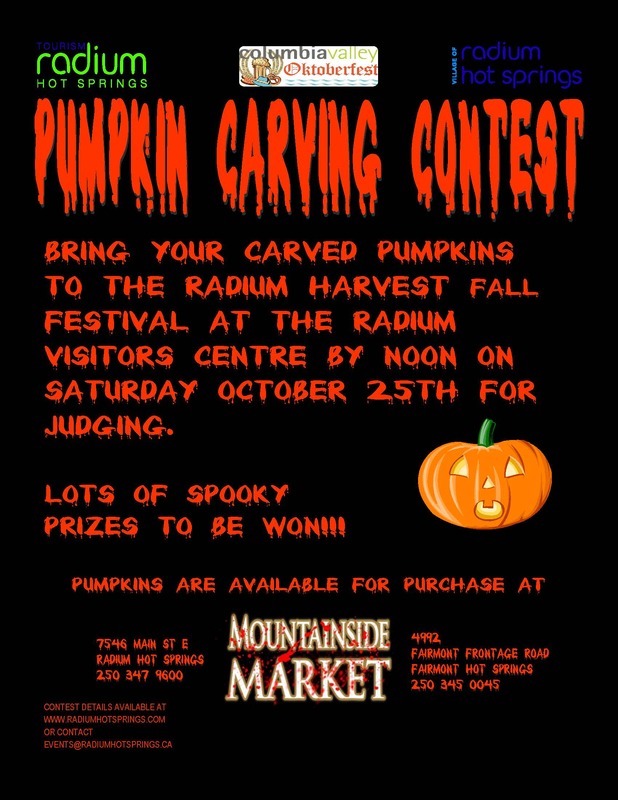 Bring your carved pumpkins to the Radium Harvest Festival at the Visitor Centre by 1:30 pm on Saturday October 25th for judging. There will be lots of prizes to be won, so make sure you check out the full contest details and rules below. While enjoying all the festival activities, head over to our Bratwurst BBQ and Beer Tasting sponsored by Mountainside Market and the Horsethief Pub located just inside the Moutainside Market parking lot. Enjoy some international beer and taste some authentic international eats. The owner’s name, age category, address, phone & email must be attached securely to the BACK of the pumpkin on an index card or piece of paper.